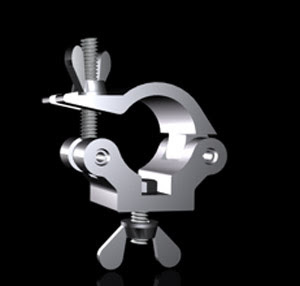 DisplaysExhibits.com has lighting clamps in stock. Many to choose from! Clamps for 1.25" tubing to 2.5" tubing. You can use these for lighting mounts, monitor mounts, DJ and audio equipment. Milos Clamps are TUV certified! Top quality at a discounted price! Visit us today at www.DisplaysExhibits.com or call at 888-804-0042.